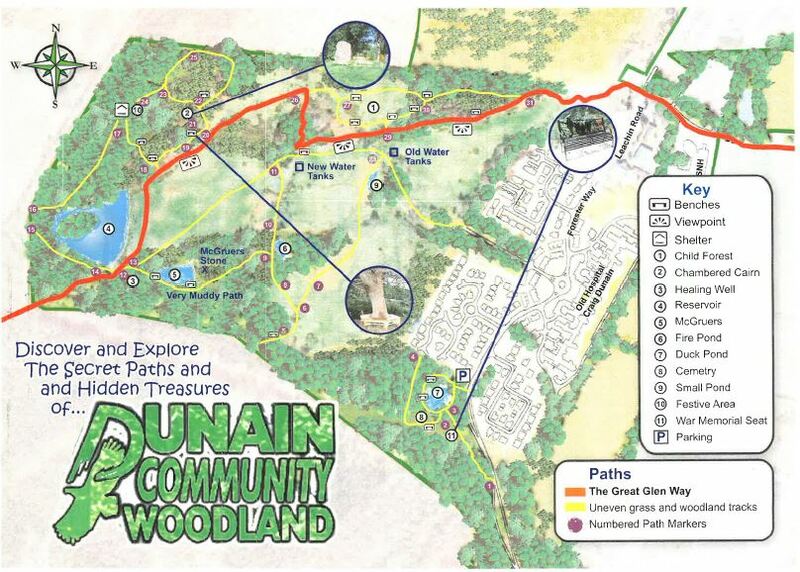 To access the woods come up to Craig Dunain and park at the duck pond or the offices of Scottish Natural Heritage (SNH). Please do not park at the top of the woods near Anam Cara. We hope you enjoy your visit! A printable version of the map can be downloaded below.